Heinrich Hölzer was born January 17, 1844 in Norka, Russia. Heinrich married Christina Ross who was also born in Norka (in 1843). According to his great-granddaughter, Loretta Woodward, Heinrich Hölzer became a Mennonite minister in Russia. Heinrich and his wife left Norka in 1878 bound for America. They first settled in Hastings, Nebraska where they lived in a Mennonite commune. The commune had a large central house surrounded by cottages. The 1880 U.S. Census shows Henry and Christina Helzer living in the Lincoln Precinct of Clay County, Nebraska. Henry's occupation is shown as "farmer". The family would later migrate west to Portland, Oregon in November 1891. 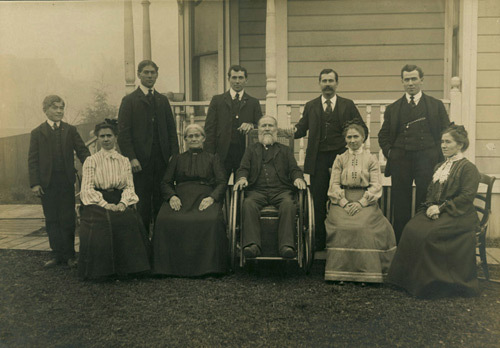 Photograph of Heinrich Helzer (seated in the wheelchair) next to his wife Christina (nee Rosh or Ross) in Portland, Oregon. Heinrich and Christina were part of a large group of immigrants from Norka that settled in Portland's Albina neighborhood. According to the limited documents that are available, the a Mennonite congregation founded by Rev. Helzer (later Helser) began meeting in the Albina area of Portland by 1891, ten years after the arrival of the first Volga Germans in Portland. By 1892, the church had 22 members. By 1895 there were 38 church members. Some of these Volga Germans joined the Mennonite Brethren Church in Russia and others did so after the migration to North America in the 1870s. The Sutton and Hastings, Nebraska Mennonite Brethren Churches were made up almost entirely of such Volga German converts to the Mennonite Brethren Church. It appears that a large percentage of the Portland Mennonite Brethren Church may have come from Sutton or Hastings. Mr. Enns-Rempel states that there is little known about the Portland Mennonite Brethren Church. The church was never large, was geographically isolated from other Mennonite Brethren congregations, was culturally distinct from the larger Mennonite Brethren Church and seems have left behind little documentary evidence from which historians might work. Rev. 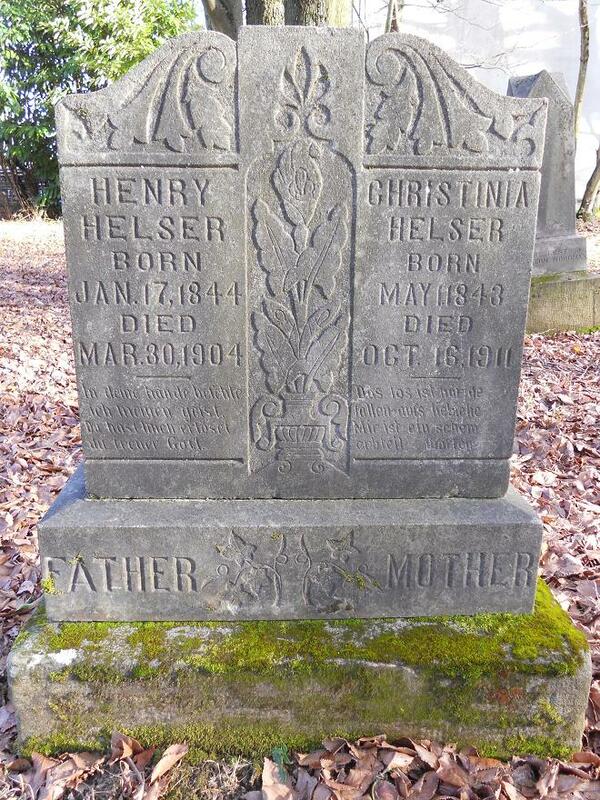 Heinrich Helser died on March 30, 1904 and he was buried at the Columbian Cemetery in North Portland. Mennonite Library and Archives - Fresno Pacific University.